Toast summer all day long with everyone’s current favorite sparkling wine from Italy, Prosecco. A dry to softly sweet white wine, Prosecco is crisp, clean, fun and fruity, with hints of lemon, citrus, apples, almonds and honey. It is no surprise that sales of Prosecco have been increasing worldwide as an alternative to French Champagne. The Italian sparkler is delicate and delicious– with a lower price tag. 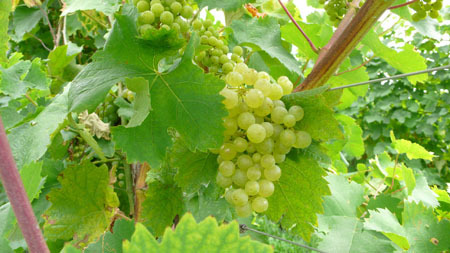 Prosecco comes from Veneto, a leading wine region that has been producing some of Italy’s finest wines for centuries. The heartland of Prosecco is found halfway between magical Venice and the powerful Dolomites (Italian Alps) in the breathtaking hilly area of Conegliano and Valdobbiadene of northeastern Italy. Proseccos are made in the Charmat method, also referred to as “bulk process”, involving using large glass and steel tanks for a second fermentation, then bottling the wine under pressure to create a delicate and refreshing sparkling wine. This cost effective process allows Prosecco to be sold at very affordable prices. 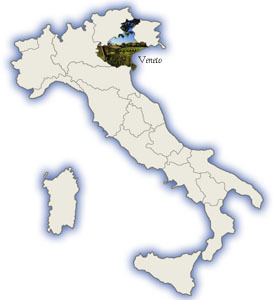 Notably, in 2010 the Conegliano and Valdobbiadene regions received DOCG (controlled designation of origin) status– the highest classification in Italy. 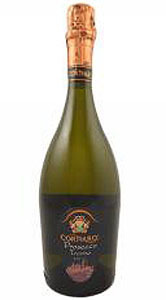 This guarantees strict government control and allows producers to label its wine “Prosecco Superiore”. The upgrade also renamed the grape to its ancient name “Glera.” Another accolade came from Wine Enthusiast, when they named Prosecco “Wine Region of the Year” in 2011. 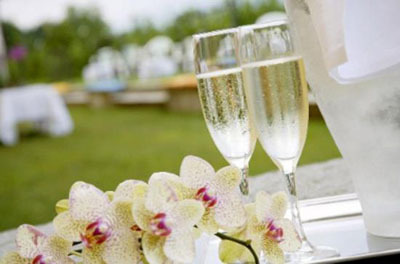 The joy of Prosecco is its versatility, which can accompany you through the entire day. Wake up to Prosecco by adding fresh orange juice for a morning Mimosa. During lunch you can enjoy the light bubbly with cheeses, charcuterie, salads and seafood. As day turns to night, it is the wine to kick back and relax with, to serve with dinner and even dessert. Perk up your parties with Prosecco by creating fun cocktails such as the “Bellini”, the signature drink of Venice. Giuseppe Cipriani invented the Bellini at Harry’s Bar in 1948. Legend has it that Giuseppe made the cocktail as the sun was setting in Venice and matched the colors of the drink to the view. To make a Bellini, puree one fresh ripe peeled peach. Pour 2 ounces of the peach puree into a champagne flute and slowly add 4 ounces of your favorite Prosecco. Stir gently. More sparkling wine cocktail recipes can be found here. Prosecco may just be the perfect everyday summer wine. Salute! 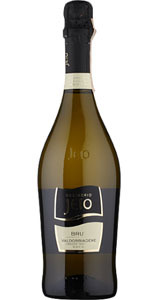 A clean, tasty, sparkling wine made from 100% Prosecco grapes from the Veneto region. 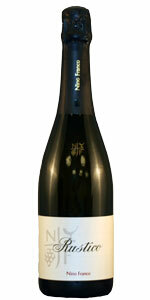 White with a greenish tint, a harmonious fruity flavor and a long finish. A perfect choice as an aperitif and also paired with light hors d’oeuvres and fish. Full of tiny bubbles with touches of apples, peaches, and pears, and a strong scent of wildflowers. Perfect party and porch wine, or serve with appetizers, salads, light dishes, and fruity desserts. A pale yellow color with aromas of lemon, lime, and green apple, leading up to a long-lasting soft finish. Serve alone or alongside summer dishes, risotto, fish, and chicken. From the heart of the Prosecco region, this consistent wine is soft and subtle, with hints of sweetness including delicate aromas and flavors of apple, banana, and melon. The perfect everyday wine to complement your meal. True to its character– classic, consistent, both flora and fruity. A fashionable wine served at grand openings. Wonderful as an aperitif, or served with seafood and Asian dishes. The wine is crisp, fizzy, with lots of apple and citrus. It is bright and clean, the perfect aperitif and ideal for celebrations. Pairs nicely with seafood—especially lobster and sea scallops. This faintly colored fine wine gleams with greenish reflections, offering a nice, light, crisp taste. Outstanding as an aperitif and for special occasions, including marriage proposals. Classic style displaying aromas of peach, citrus, and tropical fruits, and delicately soft and harmonious on the palate. Zesty and stylish, the quintessential sparkling aperitif, easily served with a wide array of foods.